Maynard Webb is a cofounder and board member of Everwise, a mentorship startup, and a board member of Visa and Salesforce. A current investor in startups through the Webb Investment Network, previously he served as Chairman of the Board of Yahoo!, CEO of LiveOps, and COO of eBay. He resides in the Bay Area with his wife, Irene. 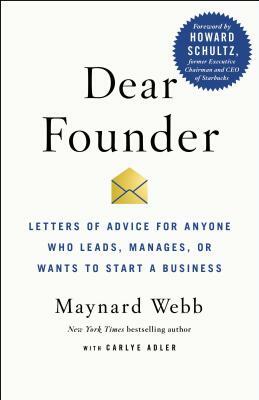 Maynard is the coauthor of Dear Founder. Carlye Adler is an award-winning journalist and New York Times bestselling coauthor/collaborator of several books, including Dear Founder. She lives in Connecticut with her husband and two daughters.